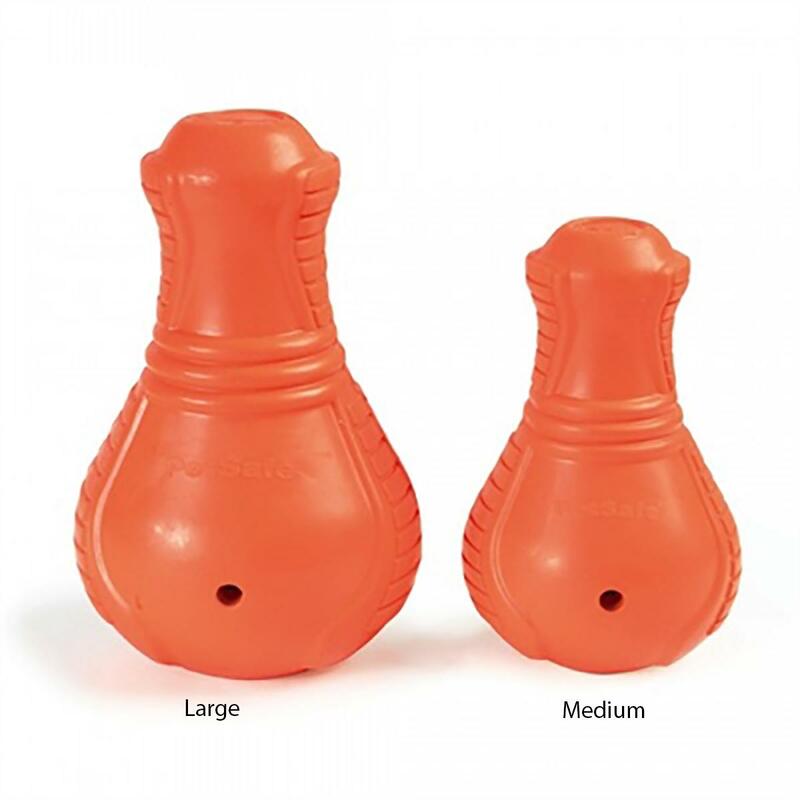 Dogs will love to play for hours with the Busy Buddy Sportsmen Squeak 'n Treat Booya in Blaze Orange! This are the first treat-dispensing toy that also squeaks! Get your busy buddy focused on an authorized activity with a treat-dispensing toy that encourages dogs to play longer. The built-in reward keeps them actively engaged, redirecting potentially destructive chewing behavior. The squeak and pleasing scent add to the excitement, giving extra play incentive. This rubber toy features a wide base that's perfect for stuffing with treats such as kibble, peanut butter, small dry treats, or a combination of fun surprises. Choose how quickly the treats will be dispensed by snipping out more of the rubber "teeth" that hold the goodies inside. This highly visible rubber toy for dogs is great for tossing, fetching, and for keeping your pal busy. It's a fun toy that can be used for training in lure courses or agility. 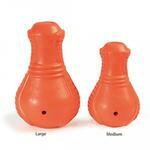 The squeaker keeps your pup's eyes on you. This toy features variable diameters to make it easy for your pet to carry. Available in two sizes to suit medium to large breeds. Always supervise pets with any chew toy. Discard and replace when it becomes overly damaged. Dishwasher safe, top rack only. Posted On 09/07/17 by Nilda F from Valrico, FL Yes, Nilda F recommends this product! I love the harness - it fits my Chihuahua excellent.